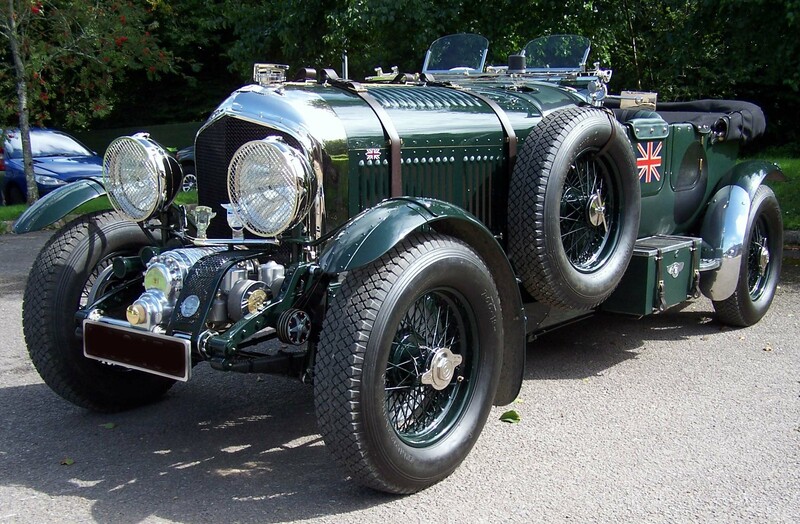 In the early 1920’s Bentley was justifiably known as a manufacturer of beautifully engineered cars and engines. Many advances in engine design (such as twin spark plugs and an overhead cam) can be attributed to W.O. and his team. His famous “3 litre” engine produced up to (a meaty for the time) 80hp and was incredibly robust and reliable. This led his French competitor Ettore Bugatti to jealously describe his cars as the “fastest lorries in the world”. However they weren’t fast enough for the “Bentley Boys”, a group of wealthy enthusiasts who raced these gorgeous machines. They were crying out for more poke and wanted to keep the 3 litre but fit a supercharger to boost the power. Bentley hated the idea of a supercharger as he felt they were an “inelegant” solution to the problem going so far as to say “to supercharge a Bentley engine was to pervert it’s design and corrupt it’s performance”. Strong words indeed! To prove his point he developed a 4.5 litre which put out 130hp (thought to be the largest 4 cylinder engine ever fitted to a car) coining his now famous aphorism “There’s no replacement for displacement “. It was unlikely that W.O. would ever have sanctioned the use of a supercharger (otherwise called a blower) while he controlled the company. Unfortunately for him though his company was chronically underfunded and it seems his business acumen didn’t match his engineering brilliance. So after winning one Le Mans 24hr race in 1924 with a 3 Litre the company had to be financially rescued. Woolf Barnato (himself a Bentley Boy) injected £100000 sterling and became Chairman. W.O. was now an employee of the company that bore his name. Very soon after another Bentley Boy, Tim Birkin got together with Charles Amherst Villiers to create the now iconic Bentley Blower. Some of these cars produced almost 240hp – an incredible output for the time. On paper then Bentley was wrong. How could his non charged engines with barely over half the power complete with these mighty force fed monsters? How could such an accomplished and expert engineer make such an erroneous comment? Except he didn’t get it wrong. Bentley “owned” the Le Mans 24hr race in the late twenties winning it 5 times. Never with a blower though. Each time the reliability of the non supercharged engine won through. This is before we even mention the eye wateringly poor fuel consumption of the blown engine. With the loud pedal fully depressed you were lucky to get better than 100l/100km. I know, that’s not a misprint, it took 1 litre of fuel to travel 1 kilometre (about 2.5 mpg in old money). It makes even a Bugatti Veyron (at 8 mpg) look economical. The other perennial problem with supercharged engines is that a lot of their horsepower is used just to power the blower itself. The 400hp jaguar engine used to power many of its performance models up to relatively recently used 100 of it’s horses just to power the charger. I’m not sure how much energy the famous Bentley Blower used but all 240hp was not sent to the wheels as would be the case with a turbo. It’s safe to say then that at the time Bentley was right and there was no real replacement for displacement. His mantra has been rolled out time and time again to justify massive engines, particularly in the American muscle car community where a 5 litre V8 is considered “entry level” and charged engines would never be countenanced. I’m not disagreeing with them, how could you not love the low down grunt and menacing grumble of a big block V8. Maybe now though it’s time for a rethink? Would W.O still think bigger is the only way ? Turbos were invented all the way back in 1905 by Alfred Büchi, a Swiss engineer working with diesel engines. However it took the outbreak of WW1 and for Renault to turbocharge an airplane engine for turbos to find their first real use. Over the following 50 years they would be used in many different applications including aircraft, trains and in ships. However one of the big problems of using turbos to boost power in cars is lag. In a large engine with plenty of low end torque it is easy to pull away quickly from low speeds (maybe to take a small gap in traffic at a roundabout), not so easy on a turbocharged car if the turbo isn’t spooling. Early turbocharged cars such as the BMW 2002 were notoriously difficult to drive having practically no power low down and hugely unpredictable surges of power as the revs rose. It needed a very skilled driver to get anything close to the engine’s potential and as a result BMW didn’t touch turbos for another 30 years. The first really mass produced, any way reliable turbo was the Saab 99. Introduced in 1978 it was a good looking well specced car and is still highly thought of. 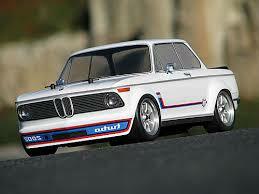 Almost 150 hp was available from it’s 2 litre engine and it was sold till 1984 when the car was discontinued. Saab remained at the forefront of turbo development for the next 20 years but their turbos still suffered from lag and were often very thirsty (one of the benefits of turbos is meant to be efficiency). It was the focus on co2 emissions that really propelled the development of turbos in cars. Diesel engines produced far less co2 than their petrol equivalents but were completely undrivable for anyone who wanted to actually get anywhere anytime soon. Diesel engines with their higher compression ratios were ideally suited to turbos and fitting a charger to them made them a little less unpleasant to drive. The technology has rapidly improved and now a charger can be tailored very precisely to suit any engine and to be focused on either power and or efficiency. Smaller and smaller turbos that spool up quicker and quicker have almost eliminated lag. They can be paired with a second larger turbo which kicks in at higher revs to give punchy performance. Some engines now have a supercharger that cuts out when the turbo kicks in (although this hits consumption). Every major car company now has a small capacity turbocharged petrol engine with similar consumption and co2 emissions to a diesel. Back to W.O. then. He felt that to achieve reliable performance there was no substitute for a large displacement engine. Superchargers are still often used (every second Mercedes has kompressor written on it’s bootlid) but they still have the problems they have always had – poor consumption and the charger itself needing to be powered. I don’t think he would have changed his mind about them. However I think he might have been won over by modern turbos. They now offer proven reliability, little or no lag, better fuel efficiency and of course plenty of the all important poke. What’s not to love? Can displacement be replaced? Maybe, just maybe Bentley might have agreed. Getting 14l per 100k off my 4.8litre v8 x5 at the moment but its worth every penny for the low down ‘on demand’ grunt and demonic gurgle. Makes dropping the kids off an experience even if I need a second mortgage to afford the petrol! Yes a gorgeous envy inducing engine (almost eco friendly compared to the blower !). I agree a smaller turbo charged engine won’t sound the same and might not match up for low down power but they are getting there. Add the Lancia Trevi Volumex to the list of supercharged cars. LJK Setright at Car magazine eulogised it with a dense and technical description of how it worked. They wanted to give the Trevi the feel of a car with a large swept volume. The fuel consumption worsened and top speed fell but I think the car gained torque lower down. And if you live in a mountainous area then that matters more than top speed. Always enjoyed reading Setright but it’s true, he really did enjoy getting down to the nitty gritty. Don’t think the Trevi was ever sold here in Ireland (very few Lancia ever were). Wasn’t aware of the supercharged version so thanks for the steer. I can’t imagine that after 30 years there are more than a handful left on the roads? As it happens I think there were some sold as I have vivid memories of seeing a blue one in Trinity College in the period 1988-1992 and also one on Stephens Green (isn´t amazing that such things ever stick in the mind.) And apart from one other sighting a decade ago I have not seen any others. If you take a look at the Wikipedia page on the Trevi you can see some of the quotes from period reviews which I posted. The one item I didn´t was about the Volumex. For me one of Setright´s talents was his focus on engineering even if I did not always follow what he wrote. The Trevi item is unusually dense, even for LJK. I have written twice to the Lancia owners club in Ireland to ask if anyone has a Beta or Trevi I can inspect. There is no answer. Agreed on Setright, I’m currently re-reading Drive On and even though I’ve read it twice before occasional paragraphs require very careful concentration and maybe a second perusal! Will check out the wiki page tonight. Pretty sure I’ve never seen one in the flesh but have definitely spotted an Irish reg Beta. I occasionally see an integrale with a 90 d reg and despite the boxy appearance and the fact it’s red I just love it. I read Drive On a good while back. It’s rather good though I feel some of Setright’s best work turned up unheralded in Car. I wish someone would gather it up into one volume. Someone has a Beta in Ireland and there may be a Gamma. Of the two I’ve seen, one was in Dublin. I could spend an interesting week travelling Europe to see examples of these cars because you won’t see them otherwise. Never ever seen a Gamma anywhere except the internet. You have definitely stirred an interest in Lancia. Some of the current offerings are pretty awful though. A compilation of Setright’s articles would certainly be a seller. His estate must have a lot of his work, let’s not give up hope. While reading anything he has written I find myself going from re-reading a paragraph three times to make sure I’ve understood to laughing out loud at the next sentence. This is not something I have ever come across before or since! Setright was unique. His political views were downright right of centre but his engineering insight remarkable. Nobody this clever writes about cars in the mainstream media. I agree extremely smart but what I’m realising more and more is how well his writing is structured and how he can fit in a sentence what takes mere mortals a paragraph to explain. Sadly (I hope I’m wrong) the market for well thought out arguments and in depth analysis is rapidly shrinking as people want instant quick answers and soundbites. Would he still be as appreciated if he were starting out today? Probably not I am afraid. I have a low estimation of the writing abilities of the ladies and jennemen of the Fourth Estata, at least that corner of it devoted to transport. I´ve written a few times to some editors and they come across and nice people who would not be cruel to kids or animals. That said, I think they have no self-awareness of why they write in the way they do. Added to that, they seem to have absorbed the recieved wisdom that readers don´t want the kind of clarity that was standard until some point in the 00s. Who doesn´t want clarity? And who doesn´t want style? Additionally, the current crop are missing a distinctive voice. If car writing was about telling a story, that story has now been boiled down to its essence and that doesn´t leave much room for colour or variety. The locus of the action is the driving seat as the car turns the corner at 10/10ths. That part has expanded to take up the bulk of the word count on long-form drive articles. If you´ll excuse my imagery, it´s as if every adult film consisted of close-range “money shots” and nothing else. That’s a real pity alright. However there are still a few small recesses of the internet where erudition and carefully worded thoughts can be found by those who wish to find it! Your colourful imagery at the end was indeed bang on the money.